Are you looking to upgrade your Laptop experience? Then, we suggest you take a look at this Dell Vostro laptop. Dell is popularly known for its highly durable laptops in the market. If you have been looking to invest in a good laptop, this is a Laptop you should consider buying. Why should I buy Dell Vostro Laptop in India? Particularly this Dell Laptop that you’re browsing makes sense for the user who is looking to multitask and requires heavy computing. The seventh generation i5 processor ensures a high performance is offered. With 8GB RAM support, expect this Dell laptop to perform multitasking at smoothest level. The 1TB storage should be enough to store a large chunk of data when required to. 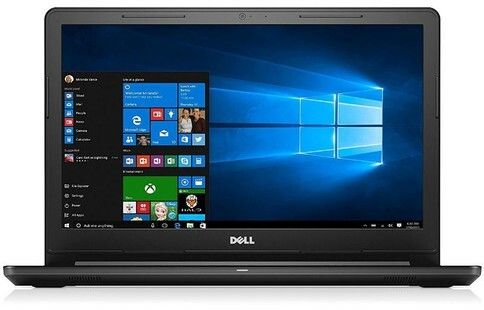 Dell Vostro 3568 15.6 Inch (7th Gen Core i5-7200/8GB/1TB/Windows 10/2GB) Laptop full specs and reviews as of Apr 2019. Buy it here!